Egg is used in almost every culture and cuisine and is used in countless ways. 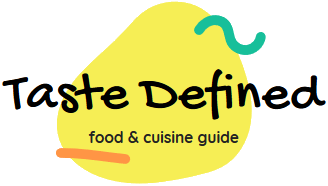 A boiled form of an egg is quite common and you can use it in different formats. I've handpicked some of the popular and scrumptious ways you can use boiled eggs to delight your friends and family members. Apart from trying in the ways mentioned below, you can innovate and can create your unique ways to present boiled eggs in irresistible forms. And, of course, you must know the art of boiling eggs to perfection before you try out different ways of consuming them. If you do not prefer hard-boiled eggs, you can use semi boiled eggs too. So let's check out these easy methodologies to add some kick to the boiled eggs. Egg Salad - This is one of the easiest ways to consume boiled eggs. 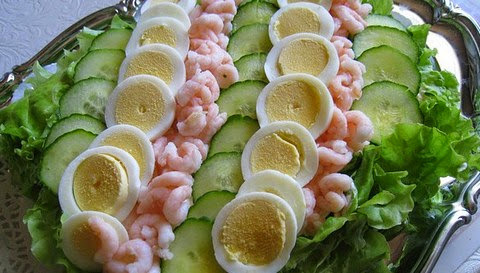 All you have to do is to slice or cut the hard-boiled eggs in your desired shape mixing them evenly in the salad base. You may use a sharp dressing for egg salads. While using eggs in a salad make sure you add them just before serving else they may lose the shape and flavor if kept for long life with green veggies. In fact, you can easily use scrambled eggs in a typical vegetable salad replacing hard boiled eggs altogether. 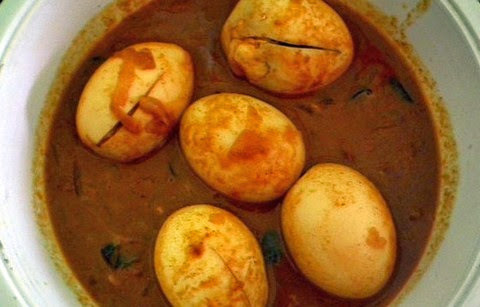 Egg Curry - Now this one is my favorite and we often make it for our guests along with other main course entries. While making egg curry, you can either add the whole boiled eggs as it is or can shallow fry them. We prefer the latter form to get the best results. Make sure the curry base itself is quite spicy and creamy. You can also add potatoes in the egg curry to increase the number of servings. Instead of whole hard boiled eggs, you can also cut them into halves before adding in the curry. 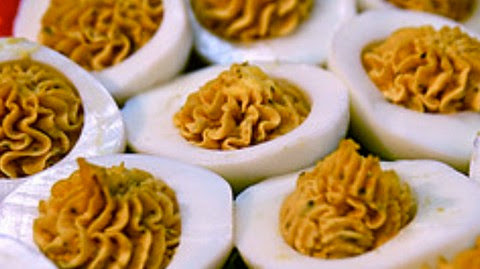 Deviled Eggs - Who doesn't love deviled eggs? It's an easy way to give a twist to plain boiled eggs. All you have to do is to add some flavorful seasonings in the yolk and then refill it back in the egg boats. This preparation has the infinite scope of innovation allowing you to season the yolk in countless ways. Use perfectly hard boiled eggs to make this recipe and always serve them hot to get the best results. It's a perfect easy-to-make starter entry for tea time and the weekend snack party. 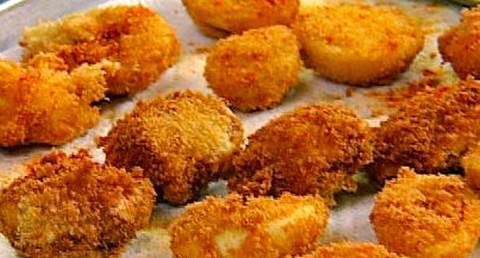 Crispy Egg Fritters - My kids just love fritters of any kind. So why not make crispy egg fritters coated with a scrumptious batter. Use your favorite seasoning batter with dried breadcrumbs and semolina to get the required texture. Use canola oil and fry egg fritters on a medium heat. Serve these yummy fritters with a spicy dip or your favorite tomato sauce. You can also use refined flour smooth batter for these fritters though the crispy semolina based batter variant is more preferable. Egg Sandwich - Sandwiches are quite versatile and can be stuffed with almost anything. So why not use boiled eggs to make layers of your sandwich? Make even slices of hard boiled eggs before stuffing them in your sandwich. You can also crumble them instead of using slices. 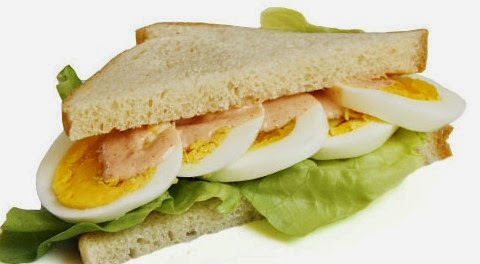 You can also dip the egg slices in a spicy sauce before arranging them in the sandwich layer. If you're using hot dog buns, instead of making slices, slightly press the whole hard boiled egg and stuff it in the sandwich. 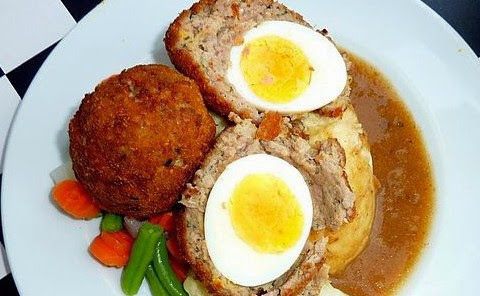 Scotch Eggs - And, the last one is the most exotic and mouthwatering preparation made from boiled eggs. Each egg is wrapped in spicy sausage layer and coated with a crispy batter. It is then deep-fried to perfection. You can serve them either with a reduction, or a dip or can directly add them in gravy. You can experiment with the type of sausage meat layer as well as the upper crispy coating. I always prefer beef sausages for scotch eggs through a chicken sausage goes well too.